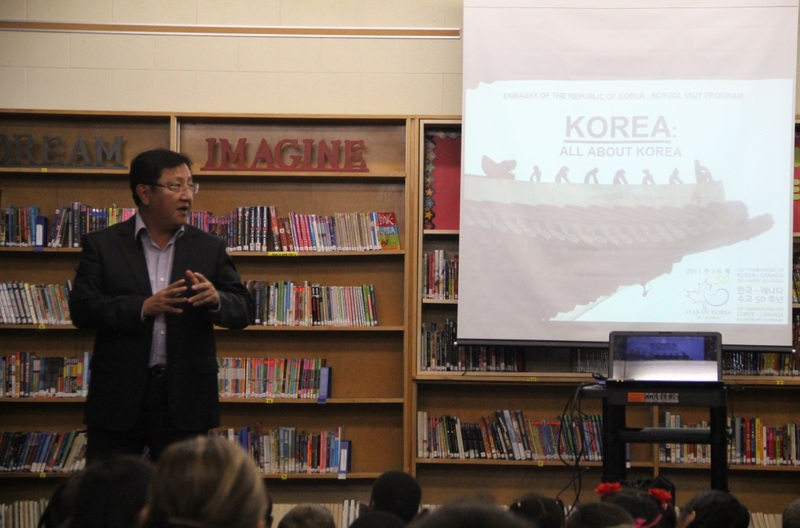 On Monday October 7, Embassy of the Republic of Korea presented its 4th ‘School Visit Program’ at Pinecrest Public School introducing Korean culture, history, geography and society, as well as raising awareness of Korea-Canada relations on the occasion of the 50th anniversary of diplomatic relations and the 60th anniversary of the Korean War Armistice. 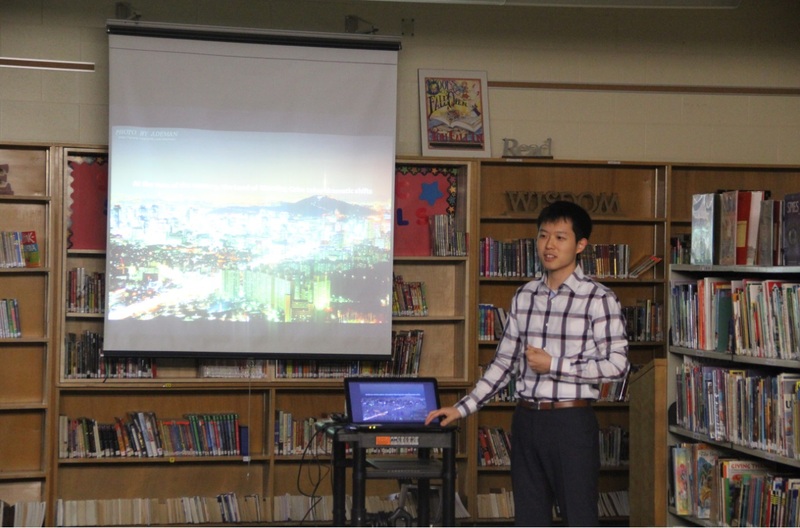 The Korean Embassy, emphasizing the significance of the double milestones, explained that Korea and Canada have closer relations than they think, referring to the similarities in shared ‘cultural genes’ such as politeness, sense of humour, and naturalness. 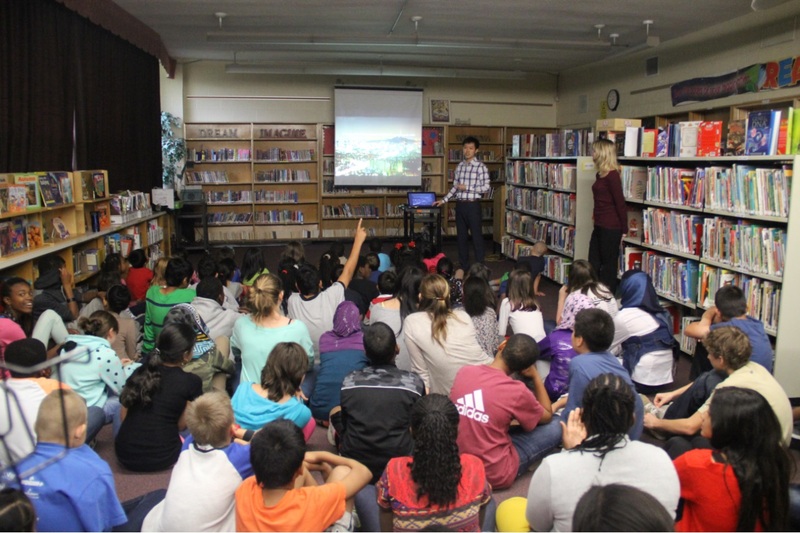 The students of Pinecrest Public School took special interest in Korean history such as the Korean War and the Colonial period, and even more so whenever photos of the singer PSY came on the screen. 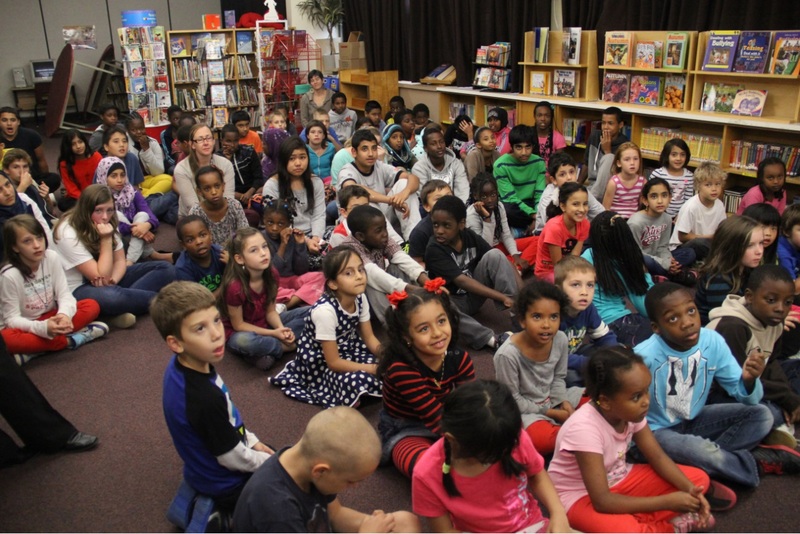 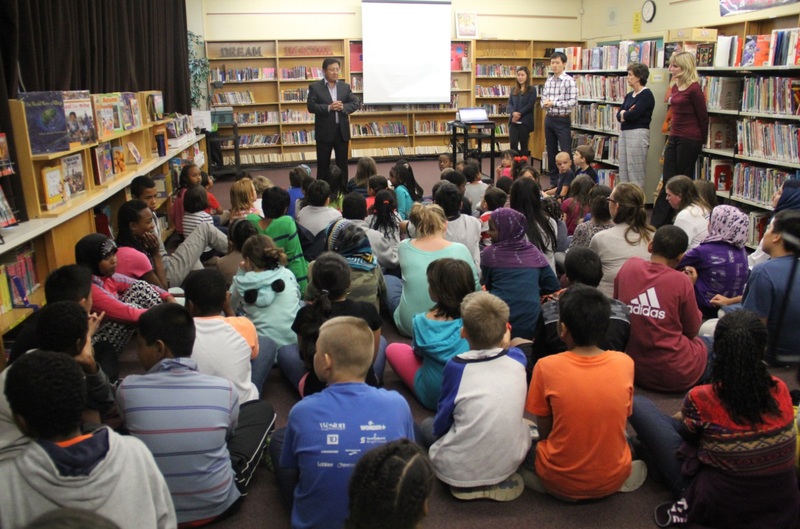 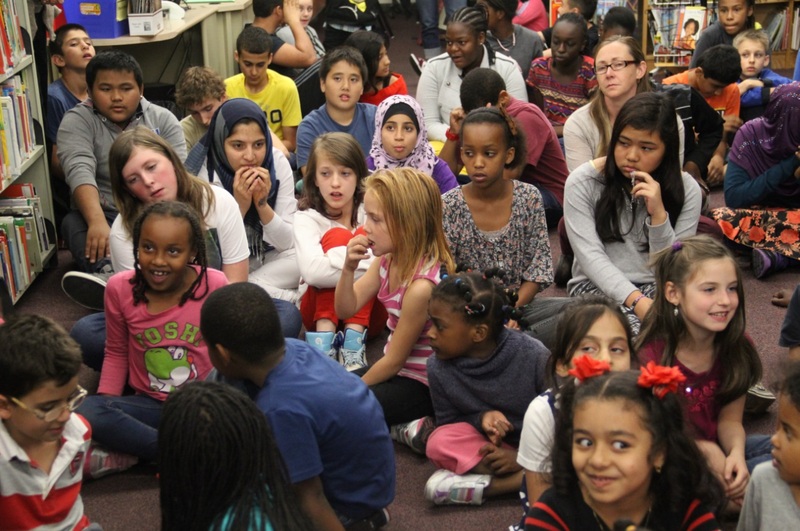 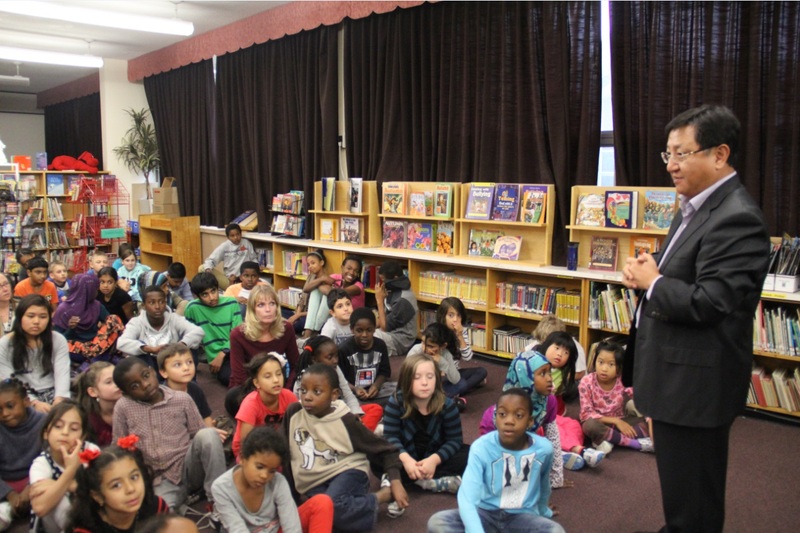 The Korean Embassy plans to visit 10 more schools until the end of the year in commemoration of the ‘Year of Korea’ in Canada and the ‘Year of the Korean War Veteran’ marking the double milestones.